The following list was compiled from a variety of sources. Any additions or corrections would be most welcome. Anyone wishing to be listed as a family researcher for a particular family can contact me at the address at the bottom of the page. In 1837-38 Rev. Jason Lee, accompanied by several Indian boys, stopped in Peoria, IL to lecture on his mission and the beautiful Willamette Valley. The picture painted by these individuals was the only inducement needed for a small party of adventurers to join together and plan a journey to the Oregon Territory. This was the first organized emigration to Oregon with plans for permanent location, and although it broke up on the way and drifted on in fragments, some of the members became prominent citizens. 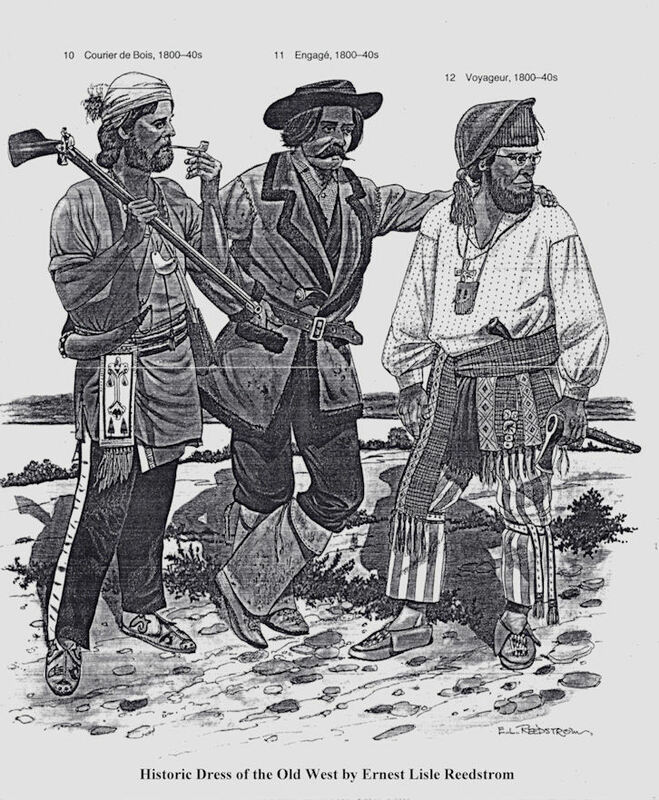 The Peoria Party was organized to go to Oregon and "raise the American flag and run the Hudson's Bay Company out of the country". The members included in this expedition were: Amos Cook, James L. Fash, Francis Fletcher, Owen Garrett, Joseph Holman, Quincy Adams Jordan, Ralph L. Kilbourne, Robert Moore, Obadiah A. Oakley, Thomas Jefferson Pickett, John Prichard, Sydney Smith, Chauncey Wood, John J. Wood, Charles Yates and Thomas Jefferson Farnham. They were later joined by John L. Moore, Robert Shortess and W. Blair. T.J. Farnham was elected leader and the company carried a flag, made by Farnham's wife, that had the motto "Oregon or the Grave!" Several members of the expedition kept daily journals, and in later years, some wrote reminiscences. Farnham carried his journal strapped to his back and he sat down each night to record the days happenings. The most consistent theme found in all of the accounts was the severe weather encountered, the constant disagreements that wore away at the resolve of the members of the party and the hunger endured for days at a time when meat became scarce. The members of the Peoria Party in the list below are designated with *PP. Also forming that same year was a small company from Quincy, Illinois. Included in the party were Alvin T. Smith, a carpenter; Rev. Harvey Clarke and Rev. P.B. Littlejohn. As Rev. Clarke could not overtake the brigade of the American Fur Company that started in 1839, he traveled to Quincy late that winter and induced Mr. Smith to join the company with the intent of starting an independent mission among the Oregon Indians. The members of the party were all newly married and began their journey with two wagons. 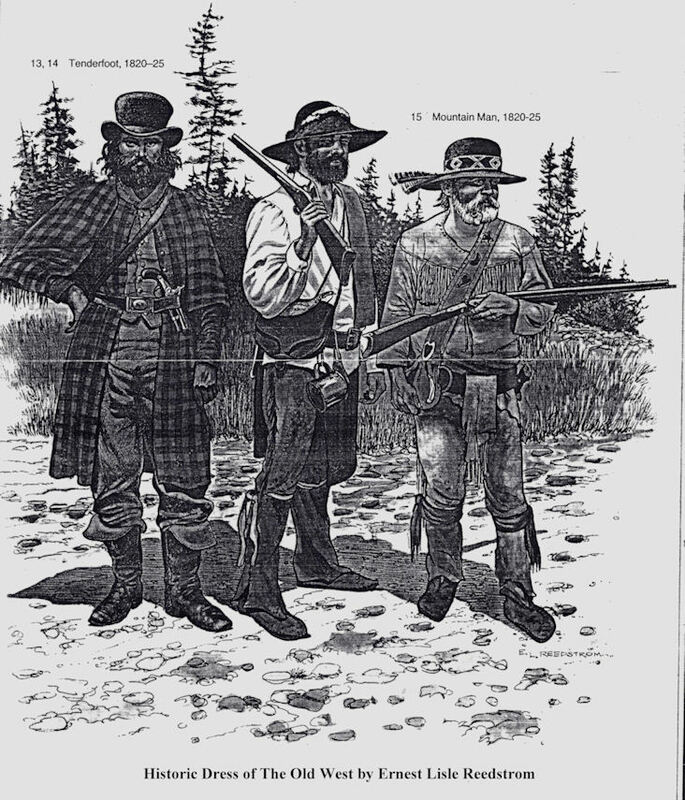 At Independence Henry Black, a frontiersman, joined them. For more info on "The Illinois Party" see the 1840 list. Richard C. BALDRA (1838- ): m'd 1864 Sarah Jane Catching. Richard was the s/o William and Maria (Callaby) Baldra, born while they were residing at Norway House in Canada. He came with his parents to the Northwest in 1839 and settled with them in Washington Co.
Thomas W. BALDRA (1836- ): Thomas was the s/o William and Maria (Callaby) Baldra, born shortly after they arrived at York Factory in Canada. He came with his parents to the Northwest in 1839 and settled with them in Washington Co.
William BALDRA (1810- ): m'd 1835 Maria Callaby. William Baldra was born in Norfolk Co, England in 1810. He and married his wife, Maria Callaby 08 Nov 1835 at Tarrington, Norfolk Co, England. Shortly after their marriage they moved to Canada as farming wards of the Hudson's Bay Company. They landed first at York Factory on Hudson Bay where their first son was born; next moved to Norway House in Canada where their second son was born and then traveled to various Hudson's Bay Company posts until their arrival at Fort Vancouver in 1839. In 1842 they settled on Tualatin Plains, locating three miles north of Hillsboro. Joyce BECK: m. bef 1839 John Johnson. "A man of a kinder heart never existed. From the place where he joined us to Oregon Territory, when myself or others were worn with fatigue, or disease, or starvation, he was always ready to administer whatever relief was in his power. And in all the trying difficulties that occurred along our perilous journey, it was his greatest delight to diffuse peace, comfort, and contentment, to the extent of his influence. I can never forget the good old man. He had been cheated out of his property by a near relative, of pretended piety; and had left the chosen scenes of his toils and hopes in search of a residence in the wilderness beyond the mountains....An honest man--an honorable man--a benevolent, kind, sympathizing friend--he deserves well of those who may have the good fortune to become acquanted with his unpretending worth." Basile COURVILLE: m'd 1851 Marianne Klickatat. born in NY near the Canadian border; mixed blood; settled in St. Louis area of Marion County; later moved to South Umpqua River in Douglas Co.
William Frederick CRATE: m'd Sarah Glazebrook. William was a young millwright from London who had been with the Hudson's Bay Company for several years. Around the beginning of 1839 he was sent to Fort Vancouver to construct water mills and to mill flour. In 1843 he is noted in the church records as being the father of Elizabeth. The woman was noted as a "woman of the country". By the 1850s his wife was listed as Sarah Glazebrook. It is unknow if this is the "woman of the country" previously referred to. *PP: Thomas Jefferson FARNHAM (1803-1848): m'd Eliza BURHANS; elected leader of Peoria Party, after split of party at Bent's Fort they were led by Capt. Hall J. Kelly to Fort Davy Crockett at Brown's Hole on the Green River; they traveled to Fort Hall and then on to Oregon; Farnham later traveled down into California where he took a ship home and wrote an account of his adventure; returned to California c1846 where he died in 1848 of fever; described in Shortess account as "b. Vt., lawyer, c35 yrs old"
*PP: James L. FASH (c1817- ): s/o John and Ann (Bogart) Fash; had a twin brother; apparently returned to Peoria, IL at some point as he is found there in 1845 getting married; I do not have information that would indicate whether he returned to Oregon at a later time or not; he was listed in one of the diaries as Trask rather than Fash. *MP: Rev. John Smith GRIFFIN (1807-1899): m. 1839 Desire Smith; attended schools and seminaries in New England and Ohio and was finished in Oberlin; ordained in the Congregational Church; the church of Litchfield county, CT. supplied him with the necessary outfit to go west as an independent missionary; left for St. Louis, MO in Feb 1839, met Desire C. Smith there and married her April 10, 1839; wintered at Spalding's mission at Clearwater; the following spring the Griffins set out with an Indian guide to work with the Snake Indians; their guide deserted them in the mountains and they pushed on to Fort Boise where their plans of establishing a mission without outside help proved to be hopeless; returned to Dr. Whitman's Mission and then went on to Fort Vancouver where he was appointed Chaplain and spent 1840 tutoring the children of the Fort; in the spring he settled on the Tualatin Plains on a farm he called "Rocky Mountain Retreat"; he organized a Congregational church in 1842 where he conducted services for several years; active in setting up Provisional Government; buried at Hillsboro. Rev. Edwin Oscar HALL: arrived with his wife by ship via Hawaii in May, after the annual Missionary meeting at Lapwaii in August, they brought a printing press to the Whitmans a few weeks later; Narcissa Whitman reports the printing of the region's "first book in the Indian language." The Halls went to Lapwaii mission in September 1839 and left by ship in March 1840. *PP: Joseph HOLMAN: started west in 1839 with Peoria Party but when party split he wintered in WY and did not arrive in Oregon Territory until May 1840. See 1840 listing. *MP: Asahel MUNGER (1805-1841): m'd 1825 Sarah Elizabeth Hoisington. s/o Asahel and Lydia (Boland) Munger Sr.; was a carpenter and joiner; became deranged and in a fit of religious fanatacism, expecting God to work a miracle, he fastened himself over the flames of his forge and died three days later from burns leaving a widow and a child. Desire C. SMITH (1805- ): m'd 1839 John Smith Griffin. born in Boston; one of the first lady teachers to answer the call to go west; crossed the continent on her honeymoon the summer of 1839; settled with husband on the Tualatin Plains and taught school to the native children; *1: MSS#1075 26pp diary of Desire S. GRIFFIN typescript in collection at OHS.